Plant scientists can, of course, grow a wide variety of plants in greenhouses and arboretums and botanical gardens, but the true library of a plant scientist is a herbarium. 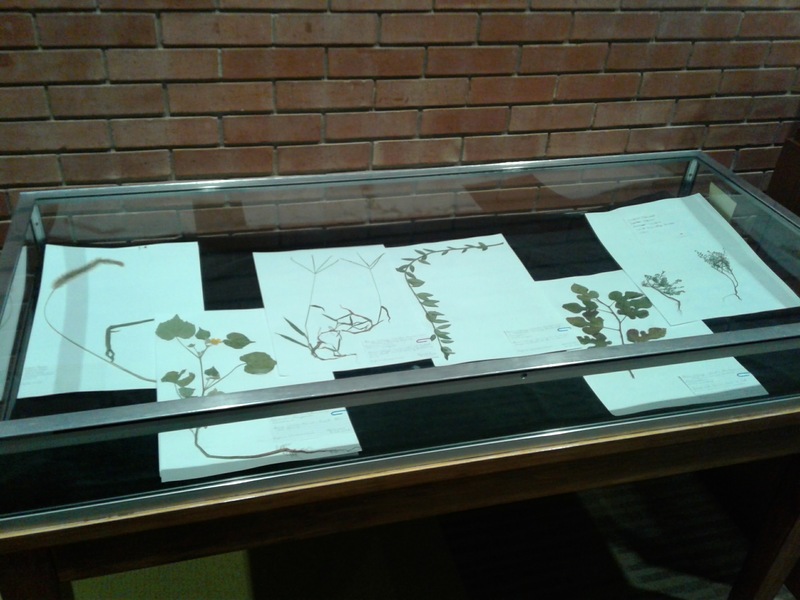 For Ecological Weed Management class (ANR/SENS 328), we use a cabinet as a weed herbarium, and students contribute to this herbarium by collecting 30 weeds. While the purpose of the samples is functional – to help future weed scientists study the weeds of our time and place – many of these samples may also be beautiful. Of course, many of these weeds were collected on Berea College campus, in the gardens, flower beds, lawns, and farm fields. Some weeds, like wintercreeper and burning bush, are invasive weeds that were introduced as landscaping plants. Some weeds, like common blue violet and red clover, are beneficial plants that make their appearances in lawns not treated with herbicides. Many weeds, like chickweed and dandelion, are edible, and were an important component to nutrition for many Appalachian families. Sometimes a plant, like dandelion, may be considered a weed in one place (a golf course) and a beneficial plant in another place (a bee-friendly lawn). On the cards accompanying the plant samples, you see the Latin name (Genus and species), the common name, the family name, the name of the collector, and the date and location of the collection. Once the identity of a plant is known, the land manager (farmer, gardener, homeowner) can look up more information about the life cycle of the plant and decide whether and how to control the plant, either with herbicides or with management decisions.